Hyaluronic acid, Euphrasia officinalis (Eyebright), sodium chloride, boric acid, disodium tetraborate decahydrate, water. Adults: 1 drop in each eye 4-5 times daily. The drops can be used for a maximum of 30 consecutive days. If your symptoms persist for more than 3 consecutive days without any improvement, or get worse, or if your eyes become inflamed, you must contact your optician or healthcare professional. A Vogel Eye Drops can be used by children over 12 if it has been established by an optician or healthcare professional that their eye problems do not require a different, medical treatment. Use within 6 months of opening. Do not use after the expiry date. 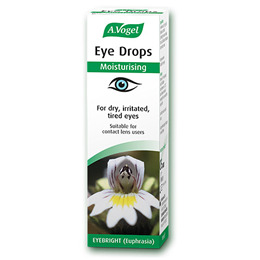 Below are reviews of A Vogel Eye Drops - Dry, Irritated & Tired Eyes - 10ml by bodykind customers. If you have tried this product we'd love to hear what you think so please leave a review. This has helped to soothe my eyes when they are dry and irritated. The dispenser takes a bit of getting used to, it's not easy to handle. A normal pipette bottle would be better. A good product but very difficult to administer. It is hard to hold above the centre of the eye, keep the eye lid open and press the dispenser. It is too stiff to use one finger and I had to resort to using my thumb to get and drops out. Very awkward position. It would be better to have a pipette. Very good product. Replaced conventional drops. Have to get the knack of dispensing! 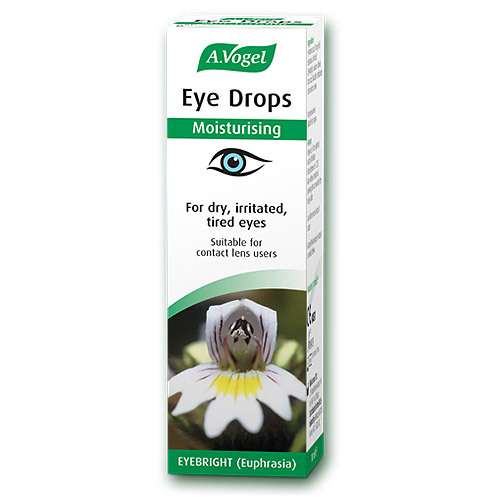 A Vogel Eye Drops help when eyes can become dry and irritated as a result of a number of factors in our modern world. Working long hours at a computer screen, heating, air-conditioning and pollution are all factors. Eyes may become drier with age.